IMP C P LIC VALERIANVS P F AVG, Radiate draped cuirassed bust right | PIETAS AVGG, Gallienus and Valerian standing facing one another and sacrificing over altar. Wreath with central pellet above. As mentioned earlier, while virtus is the root of our "virtue," a better translation of the Roman sense of it would be "valor." Likewise, pietas is the root of our "piety," but "dutiful" may be closer to what the Romans had in mind. "The Ancient City of Athens"
ΚΟΡΝΗΛΙΑ CΑΛΩΝΙΝΑ CΕ, Diademed draped bust right, on crescent. | ΠΕΡΓ_ΑΙΩΝ, Pan standing left, playing pipes and holding pedum behind. 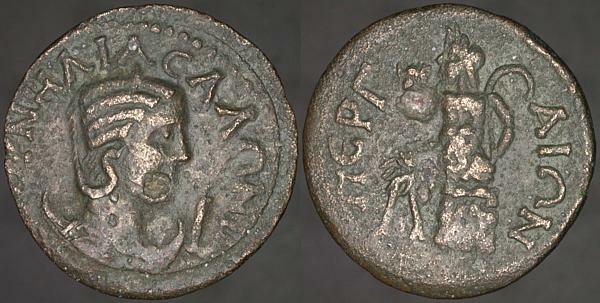 Clearly related to the coin I posted on Tuesday, this one, featuring Pan standing, is in catalogues I own. I don't know of any particular reason that Perga would have for issuing Pan coins, but something must have prompted it. ·IMP C P LIC GALLIENVS P F AVG, Radiate draped cuirassed bust right | VICTORIA AVG, Gallienus right, holding spear, receiving wreath (or crown) from Victory left. Star above. I've never seen anyone propose a reason, but this era's coins of Samosata usually feature two figures on the reverse, which is uncommon for any of the other imperial mints. Galba, Otho, Vitellius, and Titus Flavius Vespasianus: the four emperors of 69 CE. Busy fighting against an uprising in Judea, Vespasian had largely avoided the politics of the year, until he jumped in with both feet and left his son Titus to complete the seiges of Jerusalem and Masada while he himself moved towards Rome. By mid-December, Vespasian's troops had entered the City, killed Vitellius on the 20th, and declared Vespasian emperor on 22nd. His reign continued until his death, of natural causes, on 23 June, 79. [ΚΟ]ΡΝΗΛΙΑ CΑΛΩΝ[ΙΝΑ ...], Diademed draped bust right, on crescent, I before. | ΠΕΡΓ_ΑΙΩΝ, Pan seated left on rock, playing pipes, pedum behind right. It's no great surprise when I get a Roman provincial coin that's not listed in any of the catalogs I own. 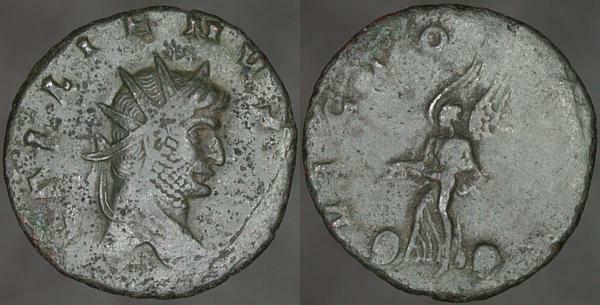 Roman provincials are usually treated as the continuation of earlier coinage of the same cities, frequently in catalogs that cover only a single city or region. While the western part of the empire had largely ceased producing their own coinage by the time of Gallienus, coins were still being issued for hundreds of eastern cities, and finding and obtaining the best catalogues for each would be the work of a lifetime. And as expensive as collecting the coins. Breaking news: no pic, but cf. 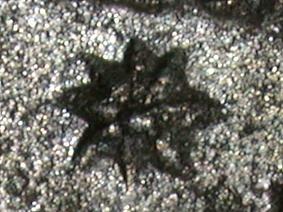 ANS 1944.100.50882 (Gallienus). GALLIENVS AVG, Radiate head right | VICTORIA AVG, Victory advancing left, wings raised, carrying palm branch. A shield on the ground before and behind. Göbl attests only a single example of this reverse, with a cuirassed bust, so this new acquisition seems yet another previously undocumented find, if you're as nit-picky as Göbl, and why wouldn't you be? ΚΟΡΝ C_ΑΛΩΝΕΙΝΑ, Diademed draped bust right | ΝΙΚΟΜΗ[ΔΕΩΝ] ΤΡΙC ΝΕΩΚΟΡ, Homonia standing facing, head left, holding cornucopia right and sacrificing from patera onto flaming altar at feet left. I'm not quite sure how the ancients managed to pour wine onto a flaming altar and not extinguish the flames, or to pour oil without the fire flaring up and spreading. Still, as they didn't waste time on the web, cell phones, or even watching television, I suppose they had sufficient leisure to work these things out.